The C-Herb will not dilute with anything which is not pure in form. Neither will it dilute with Aloe Vera. 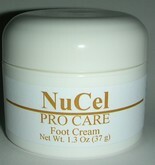 We have found the best substance to use to dilute the herb is NuCel Replenishing Cream. The C-Herb blends well in the cream and we get the healing effects of the cream while the herbs do their work. The two combined create a great healing environment. 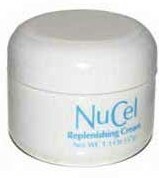 The NuCel C-4 Cream is especially formulated by mixing C-Herb with Replenishing Cream and purified water. The C-4 Cream is also recommended for use when attempting to remove abnormal skin growths from delicate tissues such as the face. Although it may take a few more days to remove the skin abnormality than using straight C-Herb, the healing properties of the added Replenishing Cream will help to alleviate any possible trauma to these delicate tissues. Please note that one would use either the C-4 Cream or the C-Herb topically depending on the circumstance. Both are not used at the same time. 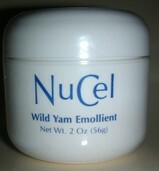 This is one of several persistent skin problems which can be treated successfully by applying the NuCel C-4 Cream. The cream mixture should be applied twice daily until the desired results are achieved. This condition is dealt with in the same manner as eczema, however, the treatment is greatly enhanced if the person undergoes an internal series of C-Herb BEFORE applying the NuCel C-4 Cream topically.